Beautifully unique, updated Colonial reflects classic beauty with modern amenities. Beautifully unique, updated Colonial reflects classic beauty with modern amenities. Welcome guests from the bright, window lined 4 season, 18x8 sun porch great for hosting brunch. Spacious LR w/ hardwood flooring carries into the dining area & kitchen. Kitchen boasts plenty of cabinet space for all your needs, subway tile backsplash & granite counters. Glass paned door leads to the laundry rm w/ exterior access to lrg deck which is great for easy entertaining. Home office w/ passthrough window allows you to have a private work space while still being connected to the rest of your home. 2nd flr boasts 3 ample sized bedrooms & a small seating area at the top of the stairs. Unfinished basement provides future expansion opportunities for a family room or game room! You’ll love spending your days & nights grilling on the back deck and enjoying your tree lined back yard. 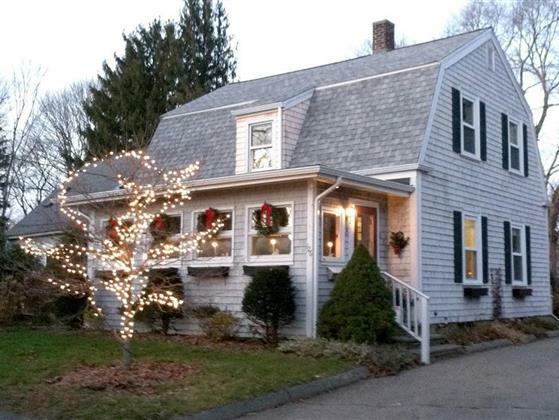 Close to commuter rail, Bridgewater State, and village sq. Do not miss this incredible opportunity to own in Bridgewater!